BMW completely redesigned the 5 Series in 2011 and many people think they nailed it. It certainly performs better than the last generation and the level of systems and electronics are impressive. This is the largest engine option other than the M series and it certainly does not disappoint in the area of performance. It is powered by BMW's Turbo charged 4.4l V8, which produces 400hp and 450lb ft of Torque. 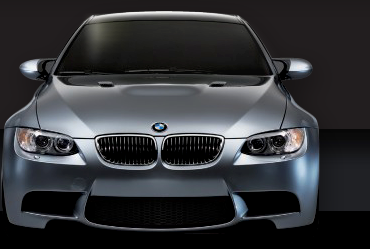 The M sport adds a bit of extra performance with suspension and trim options. This BMW 550i xDrive M Sport is still covered under the Original BMW Factory Warranty until July 2019 or 50k Miles. The Carfax report shows damage reported, we contacted them and they confirmed it was not an accident, just damage repaired so we were not concerned with it. We paint metered the entire car, it reads factory paint depth on every panel, there is no indication of paintwork anywhere other than the front and rear bumper. The paint is Moonstone Metallic, which is a $1900 BMW factory paint upgrade. The MSRP shows $20k in optional equipment on top of an already impressive base price of $62k. Total cost;$83,215.00. The Carfax shows Great Service history, all at the BMW Dealer. 1 Owner, M Sport, $1900 Paint Upgrade, Soft Close Doors, Blind Spot, Bang & Olefsun, Executive Pkg, Driving Assistance Plus, Heated Steering Wheel, Heated Front/Rear Seats, Multi Contour Seats, Comfort Access, Keyless Go, Enhanced Bluetooth, Nappa Leather, Side/Top View Cameras, Ceramic Controls, Lane Departure, Blind Sport, Pedestrian Warning, Front Collision Assist, Streaming Audio, Rear Sunshades, All Wheel Drive, Leather Dashboard, Power Closing Trunk, Satellite Radio, Adaptive LED Lights, Automatic High Beams, Steptronic, LED Fog Lights, Navigation, Bluetooth, Back Up Camera, Parking Sensors, Rear Fold Down Seats, Lumbar Support, Daytime Running Lights, 8 Speed Automatic, ABS, ESC, TPM, Dual Auto Climate Control, Homelink, Sunroof, On Board Computer, Service Interval Indicator, Trip Computer, Multi Function Steering Wheel, Cruise, Power Tilt/Tele Wheel, Wood Trim, USB, AUX, Anthracite Headliner, Shadowline Trim, M Sport Wheels, M Steering Wheel, Aerodynamic Kit, 1 Master Key, Books, Non Smoker, Clean Title.